Attention : Cork of POGGIO DI SOTTO wine is very tight and hard to uncork. This is normal. Please use leverage properly when you use wine-opener. 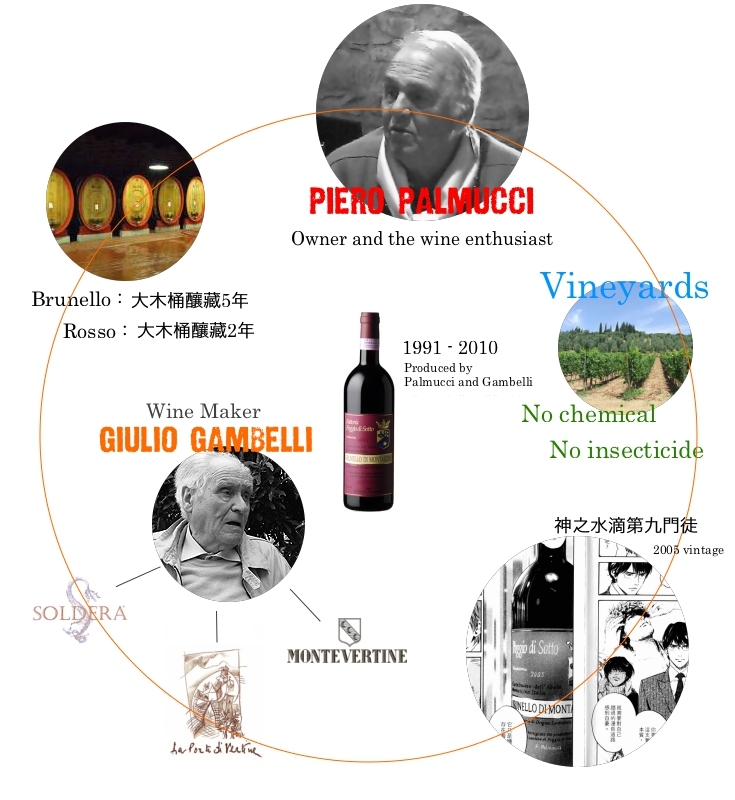 The owner and the wine enthusiast Mr.Piero Palmucci bought land in Montalcino and started wine making in 1989. The first vintage was 1991. He produced 20 vintages and he passed winery to his friend in 2011. POGGIO DI SOTTO's Brunello is well recognized as the one of top Brunello di Montalcino along with SOLDERA and SALVIONI. And this legend was created by Giulio Gambelli who produced SOLDERA, LE PERGOLE TORTE and LA PORTA DI VERTINE at the end of his life.